Here are just a few tasty details from our favourite past book projects. 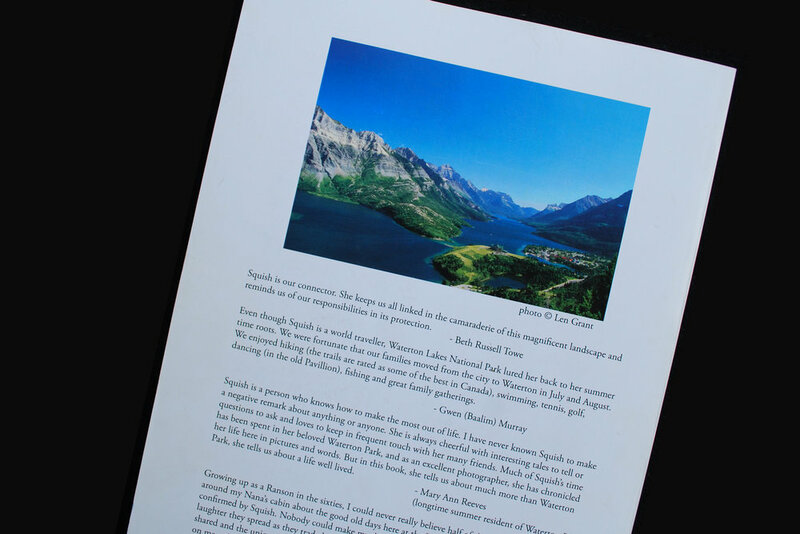 Of course, nothing can replace the feeling of opening a real book, so please contact us if you would like to view some examples first hand. 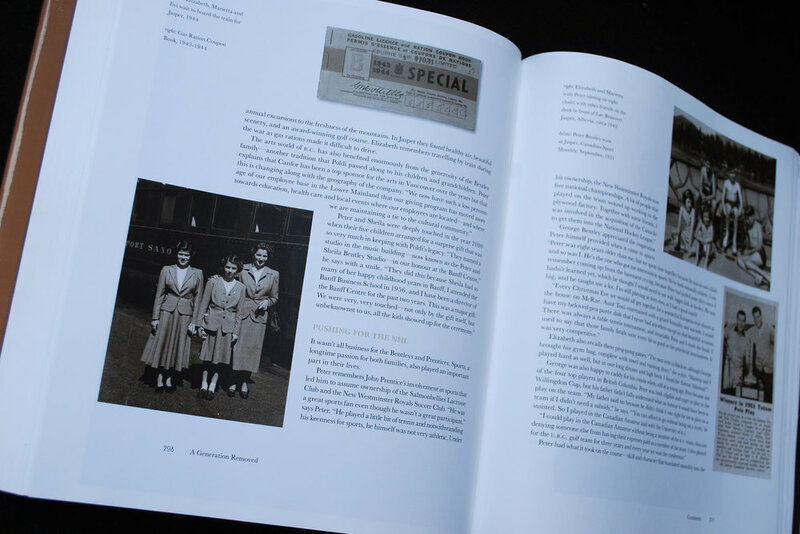 Design of hardcover coffee-table book tracing the Bentley family history. 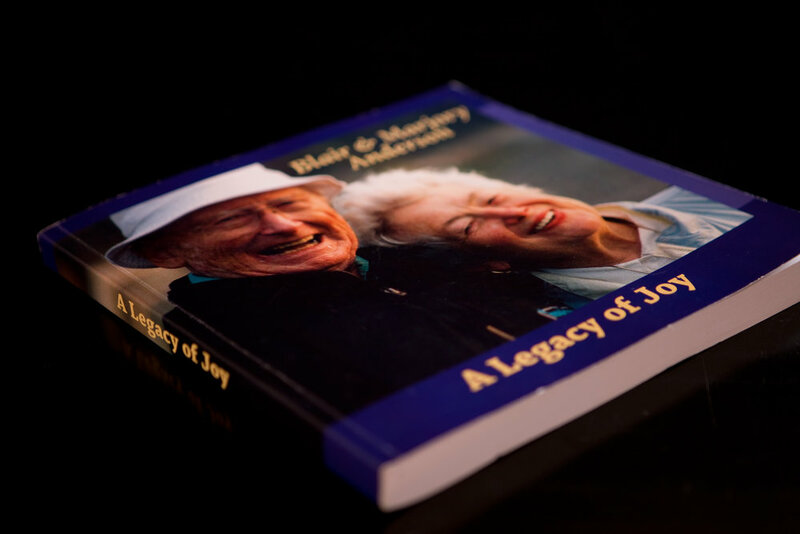 The book is a remarkable compilation of stories and images and was created as a special gift to Michael’s parents, Sheila and Peter Bentley, in celebration of their eightieth birthdays. Adele Bloch-Bauer, an ancester of the Bentley family, was painted twice by Klimt (The Woman in Gold). I was inspired by the visually stunning portraits and used details from the paintings for the chapter title pages and for the cover design. 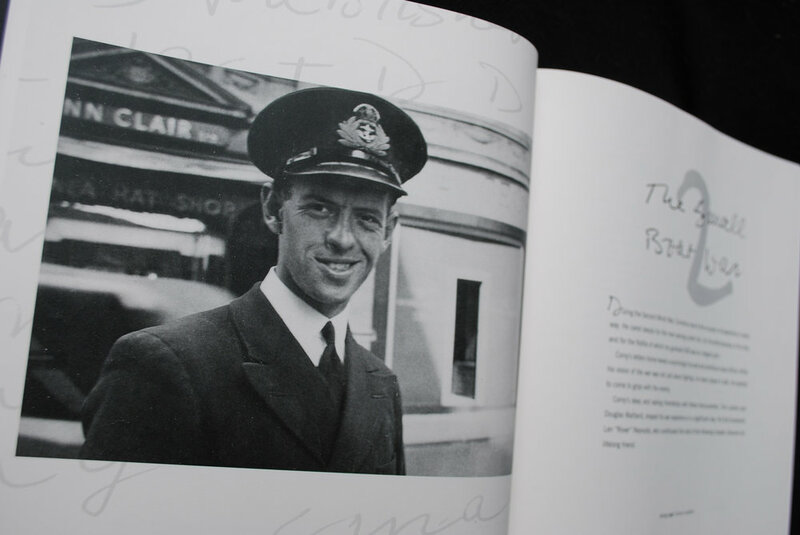 The book is a private family heirloom. 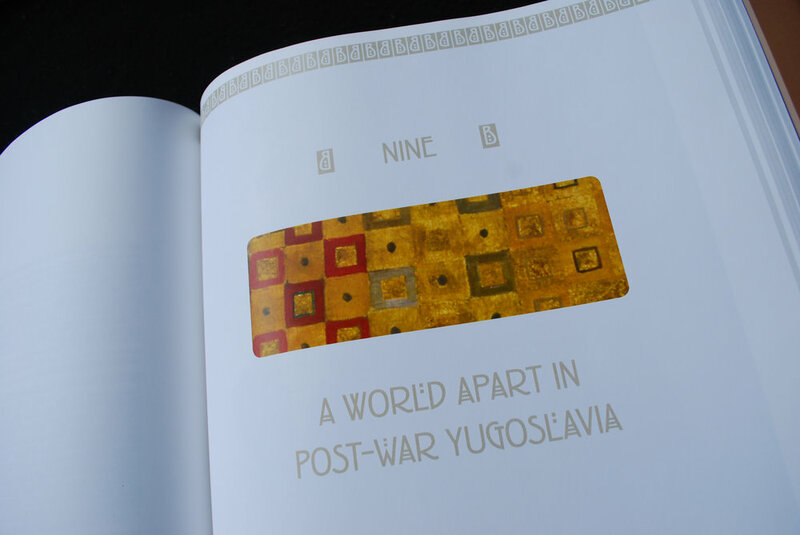 Design of hard cover book with an image casewrap cover. 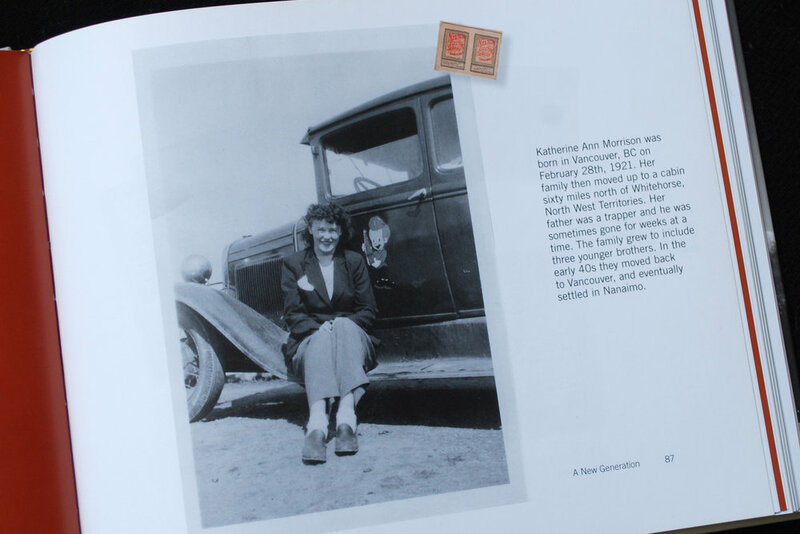 A tribute book to her late father, the book features many B&W and color photographs as well as memorabilia like ticket stubs, ribbons, buttons, and various newspaper clippings. 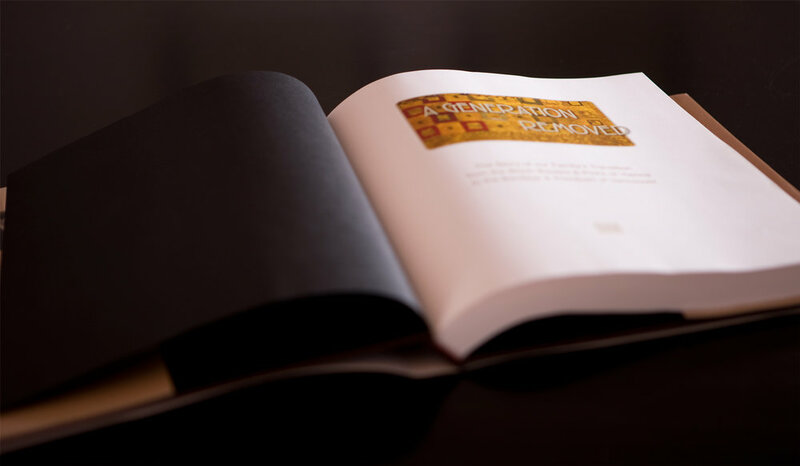 Design of hardcover book. Written by Robin Fowler as a create a tribute to Margo Burke's late husband Cornilius (Corny) Burke and his family. 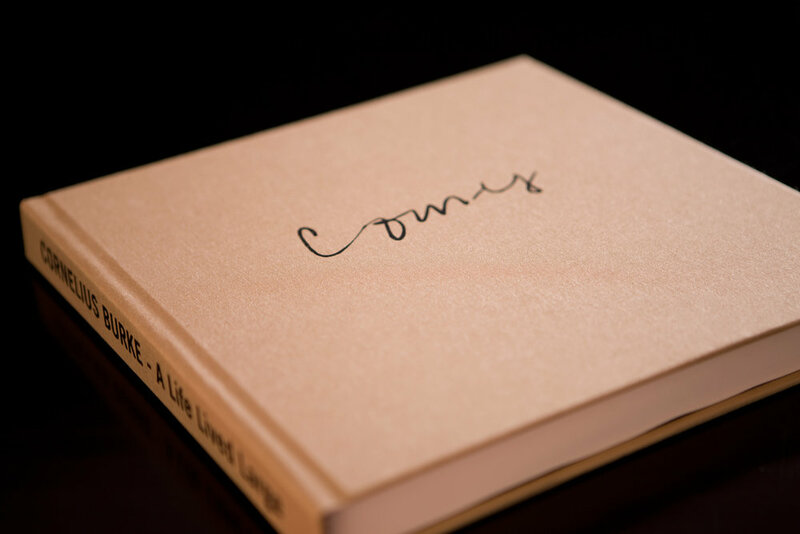 Corny's handwriting was big and bold so I used it for the chapter title pages, drop caps and for the foil stamp of his name on the front cover. 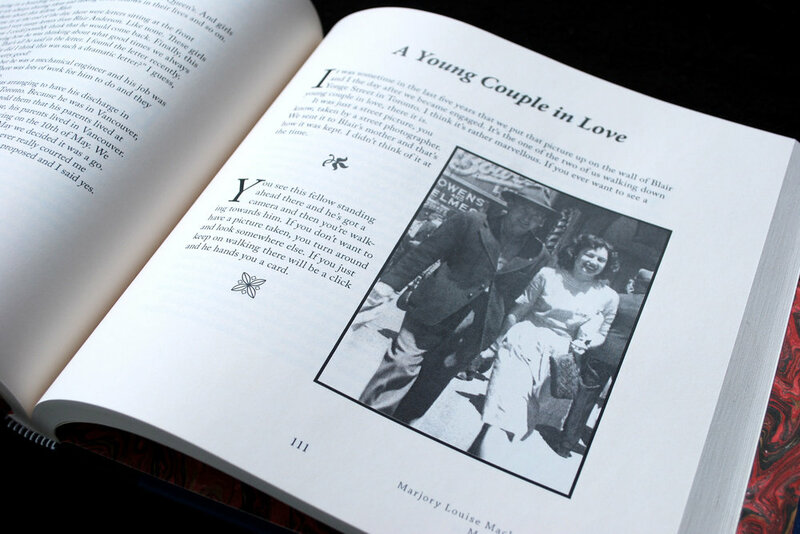 The book was printed in B&W on cream paper. 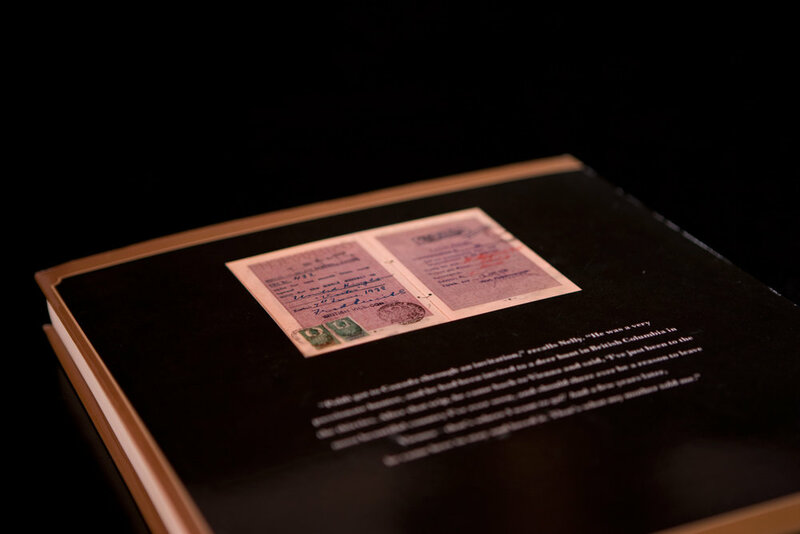 The cover was tan linen with his signature foil stamped in black. 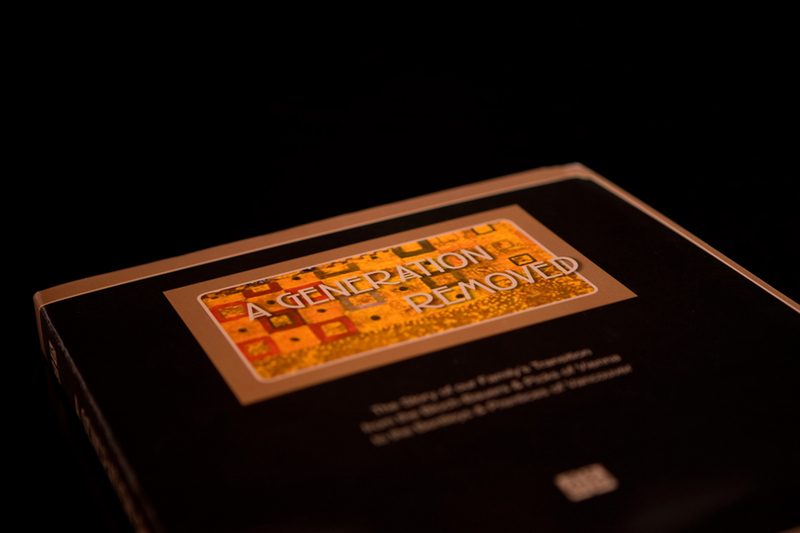 The book is a private family heirloom. 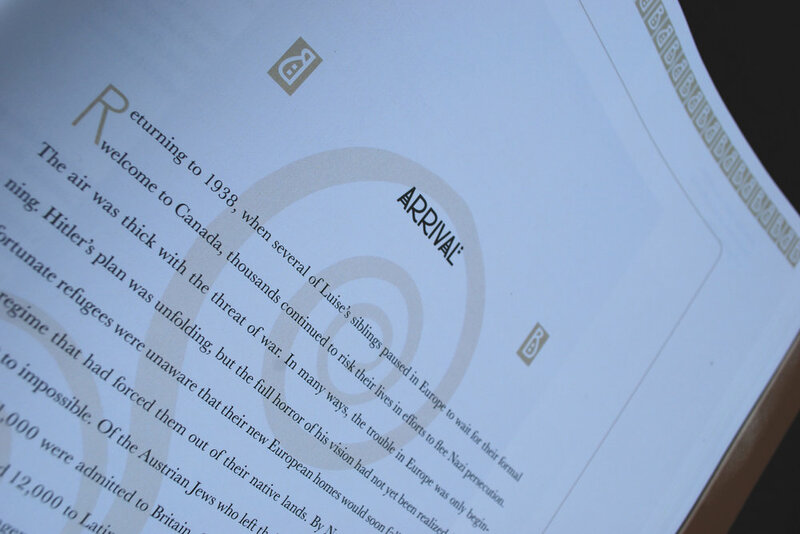 Design of hard and soft cover book tracing the roots of the Anderson family. The stories goes back and forth between Blake and Marjory Anderson so I used a symbol to differentiate who was telling the story. Printed in B&W on cream paper, the hard cover book features marbled end sheets, a page holder ribbon, and an inset photograph on the cover. The soft cover is perfect bound. 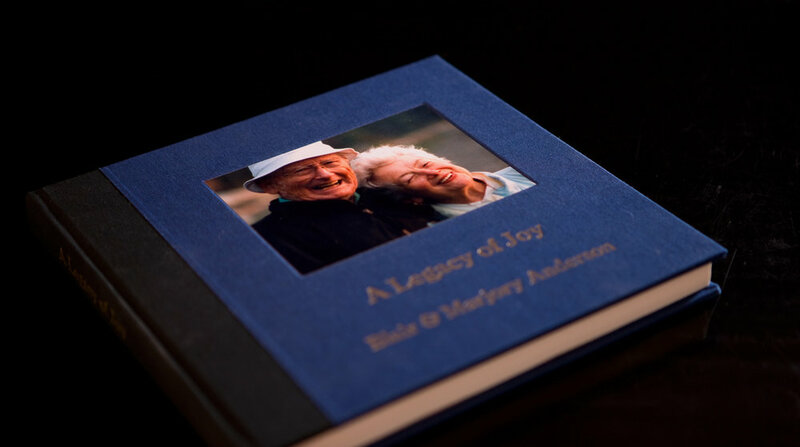 Design of soft cover, full color book. 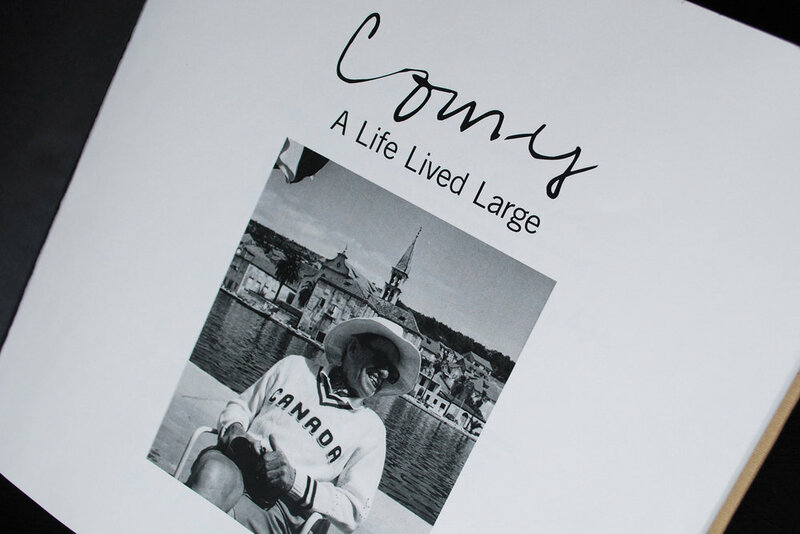 This memoir was written by my late mom and it was my first foray into book design. Thanks Mom! 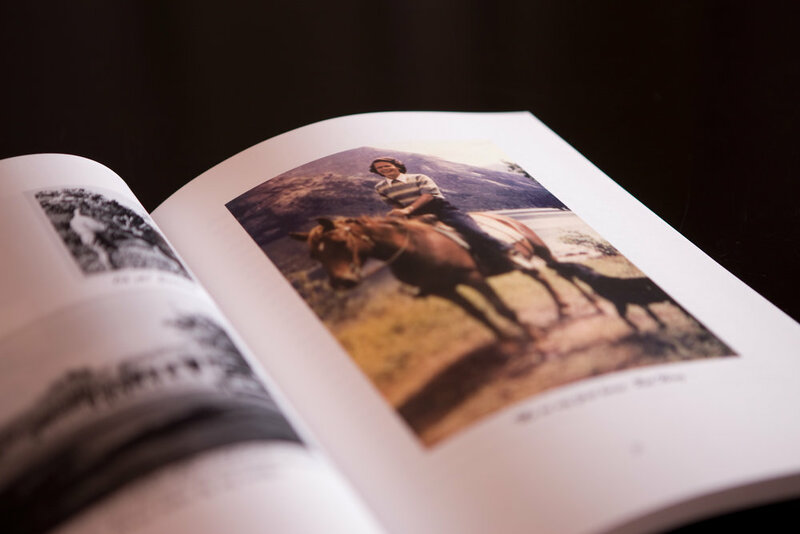 The book chronicles the many wonderful people she had the pleasure of knowing, along with stories about our family history. 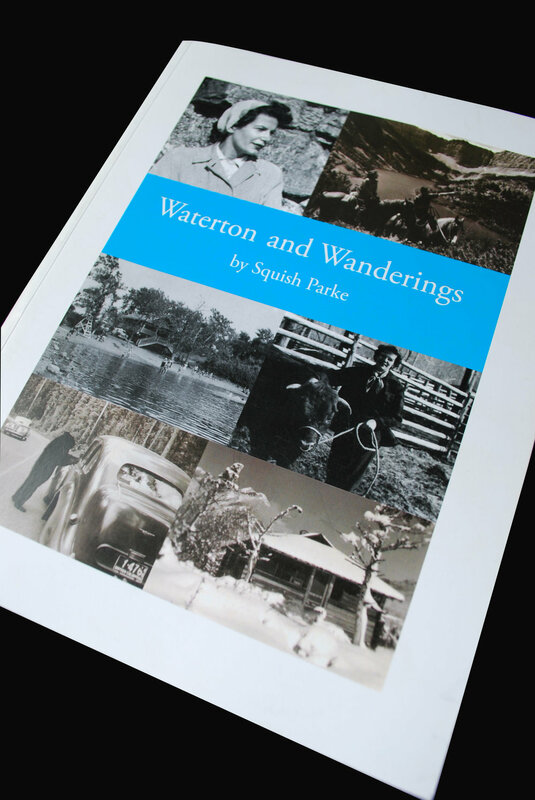 The book was available at the Waterton Heritage Centre in Waterton Lakes National Park. It was a big hit!